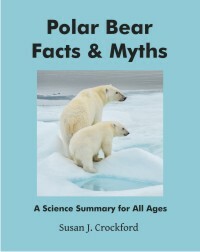 I was researching the history of polar bear conservation status in the international arena – that is, how, when and why (since 1965) the polar bear has been listed by the IUCN (International Union for Conservation of Nature and Natural Resources – or as it calls itself, the World Conservation Union) in its famous Red Data Book of the world’s rare and endangered animals. It turns out that by the time of the first international meeting of polar bear biologists in 1965 – before the Polar Bear Specialist Group (PBSG) had even been formally chartered and thus, before it was associated with the IUCN – the polar bear was listed in the IUCN’s Red Book (Anonymous 1966, 68, 70) as Vulnerable. Polar bears were down-graded from a Vulnerable rating to Lower Risk – Conservation Dependent in 1996, after the IUCN revamped its listing criteria (Derocher et al. 1998:45). It seems that by 1993, polar bear biologists had what they considered a reasonable estimate of the global population (about 21,470-28,370 (Wiig et al. 1995), more on the history of these estimates here ). And with that estimate, it appeared that polar bears no longer qualified as Vulnerable under the new IUCN criteria, as I explain below. Criterion C. Small population size – “Based on a minimum total population of 21,000 polar bears (Wiig et al. 1995), the number of mature animals might be less than 10,000. A continuing decline does not occur, therefore, Criterion C does not apply. However, this up-grade in the status of the polar bear did not appear to make the PBSG biologists very happy. You’d think these guys [and the core group were all men during this period – this situation did not change until 2009, when Elizabeth Peacock from Nunavut, Canada, joined PBSG] would have been ecstatic that the protection measures enacted in the 1970s had worked so well. But by 2006, the polar bear had been up-graded back to Vulnerable at the recommendation of the PBSG (Aars et al. 2006:61 and the Red List). It is important, in my opinion, to understand how and why this turn-about happened because there may be implications for the various on-going battles about the polar bear’s conservation status. It appears that Scott Schliebe (US Fish and Wildlife, Alaska) was the person who made the suggestion that projected [future] declines in sea ice be used as the basis for a re-evaluation of the polar bear’s IUCN status. He got the ball rolling and passed the job on to Wiig (author of the 1996 IUCN assessment) for completion (Aars et al. 2006:30). Wiig made a presentation to the group, at their 2005 meeting, recommending a change in IUCN status to Vulnerable. However, no references to any data that he used is presented in the PBSG report on that meeting and no written transcript of the presentation is provided. [it is stated, however, that Wiig used a generation time of 15 years in his calculations, “which was calculated from the age of maturity (five years) plus half the length of the reproductive period in a complete life cycle (10 yrs, =0.5 x 20 yrs)” – this definition is important to later issues, but I won’t get into all that here]. “With the results of the foregoing research and related uncertainties in mind, the Group reviewed the status of polar bears using the 2001 IUCN Red List categories and criteria. The Group concluded that the IUCN Red List classification of the polar bear should be upgraded from Least Concern to Vulnerable based on the likelihood of an overall decline in size of the total population of more than 30% within the next 35 to 50 years. The principal cause of this decline is climatic warming and its consequent negative affects [sic] on the sea ice habitat of polar bears.” (Aars et al. 2006:61). So, if I’m understanding this correctly, based on a presentation by Wiig during the 2005 meeting, the PBSG realized that polar bears could be up-graded to Vulnerable status if they used a predicted overall decline in size of the total population of more than 30% within the next 35 to 50 years based on sea ice declines due to global warming. And by the time the meeting was over, the Group had declared to the world that, indeed, an overall decline in size of the total population of more than 30% within the next 35 to 50 years was likely due to global warming. The Group’s recommendation to up-grade the status of the polar bear to Vulnerable was apparently accepted unchallenged by the IUCN Red Book committee [well, why wouldn’t it be? – the PBSG are part of the IUCN] and it was adopted shortly thereafter, for the 2006 version of the Red List. 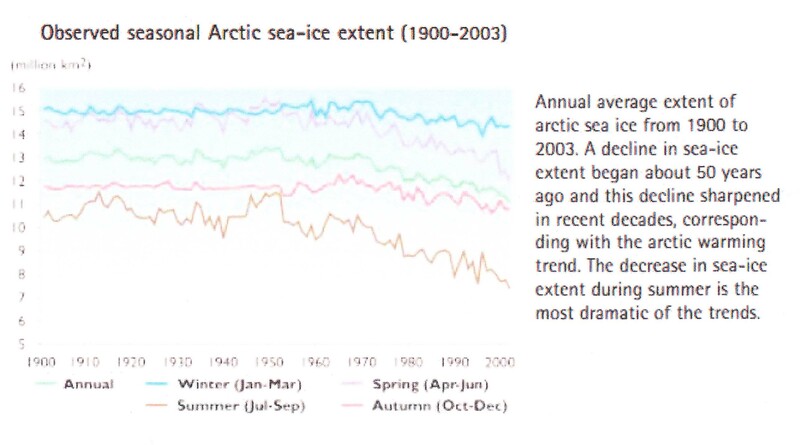 Hassol’s report contains the figure copied below* – sea ice extent from 1900 to 2003. Funny thing is, in this graph there is no distinction made between the satellite record and the data from various sources that make up the record before 1979 (i.e., 1900-1978). Doing this without saying so is bad PR, not science. [*apologies for the fuzziness, but the pdf provided disabled the “snapshot” tool that would have given a better image]. Arctic sea ice extent from 1900-2003, as depicted in Hassol 2004, pg. 25.
and the data that make up the record prior to 1979. Click to enlarge. On top of that, it should be noted that the document Hassol was synthesizing, the Arctic Climate Impact Assessment (2004) report, contained some of the first sea ice models attempted. The ACIA report used only 19 years worth of sea ice data (1981-2000) as a baseline – not even one data point in climate terms (usually considered to be 30 years) (ACIA 2004: Chapter 6, pg. 192). [Ironically, but perhaps not so surprising, the PBSG website page dedicated to this Red List issue does include the 1996 status change]. 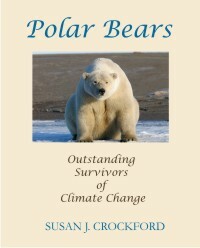 In summarizing the above, it appears that in one brief, closed-door meeting, with only a synthesis report meant for policy makers as evidence (Hassol 2004), the PBSG got the most influential conservation group in the world [the IUCN] to accept that predicted effects of future global warming was more of a threat to polar bears than over-hunting. 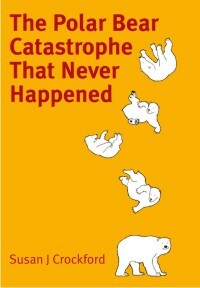 It appears to me that when the PBSG did not have the evidence to support listing polar bears as Vulnerable under the re-vamped IUCN criteria in 1996 (version 2.3) – because they were doing so well – the Group simply switched the primary threat from unregulated over-hunting to future global warming. Their reasons for seeming to prefer “Vulnerable” over “Least Concern” are not stated explicitly. It also appears that no one at the time undertook the due-diligence one would reasonably expect from such a group to investigate the science behind Hassol’s glossy synthesis report. Hassol’s report for policy makers contained no references, so anyone wishing details would have had to consult the original document upon which it was based. “for the sake of polar bear conservation, views that run counter to human induced climate change are extremely unhelpful. A pretty amazing series of events. It makes me wonder how much influence a Red Book listing of polar bears as Vulnerable (in 2006) by the IUCN had on the decision by the US Fish & Wildlife Service, in 2008, to support the petition to list polar bears as ‘threatened’ under the US Endangered Species Act (equivalent to the IUCN status of Vulnerable). And very curious that Scott Schliebe (see here and here) was the only PBSG member who was employed by the US Fish & Wildlife Service at the time both of these listing decisions were made – and that he was the one who first suggested to the PBSG at large that the threat of global warming could be used to up-grade the conservation status of the polar bear on the IUCN Red List. Nova, J. 2009. Exile for Non-believers. SPPI original paper, September 2009. 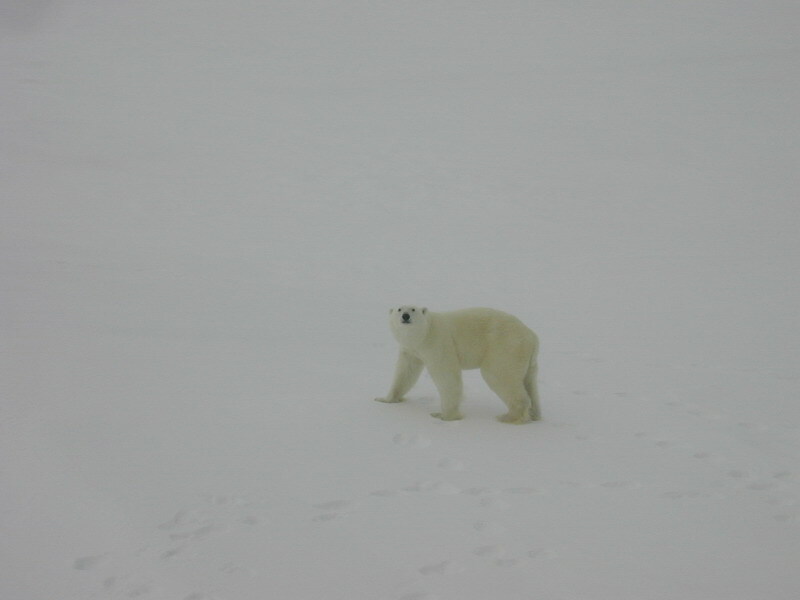 Schliebe, S., Wiig, Ø., Derocher, A. and Lunn, N. (IUCN SSC Polar Bear Specialist Group) 2008. Ursus maritimus. In: IUCN 2012. IUCN Red List of Threatened Species. Version 2012.2. Downloaded on 26 December 2012. This entry was posted in Conservation Status, Population and tagged advocacy, IUCN, Mitch Taylor, Polar Bear Specialist Group, population size, Red Book, Scott Schliebe, sea ice extent, Wiig. Bookmark the permalink.